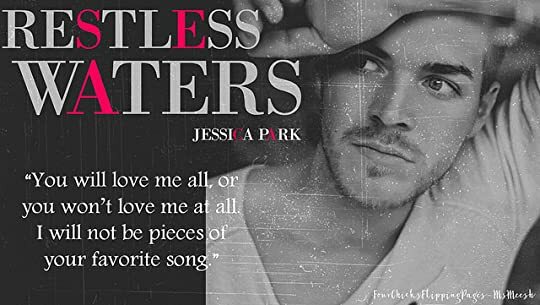 Before I begin my review on Restless Waters, I just wanted to point out that Left Drowning was the book that solidified my love for Jessica Park. It was the first book that I had read of hers which made me researched her other books and hence introduced me to the Flat Out Love Series. And when I look back on my list of favorite books, Left Drowning is definitely on there. This book stole my heart and left a big memorable impression on how broken characters can find healing, forgiveness, and love. The ending of Left Drowning I loved. I was satisfied and it left a smile on my face. So when I found out there was a continuation of the story that mostly centered on Sabin Shepherd, I was equally excited and nervous of where Jessica Park would take her readers. 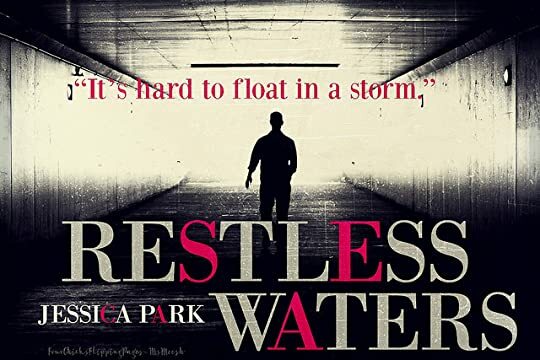 Restless Waters picks off where it last left off in Left Drowning so this book can't be read as a standalone. My review for this book will be quite different because I don't feel it is necessary to rehash what the book is about. But what I will tell you is that this book is much more of an emotional connection of Sabin/ Blythe/ Chris dynamic. These three will strip readers bare as Ms. Park douses readers with an onslaught of raw emotions. She takes her readers on a journey where a magnitude of emotions are running rampant . While this book is told in Blythe's POV, readers will feel the emotional connection of Blythe and Sabin. As broken characters, they have this strong connection to one another that may have been blurred because of their intense friendship but don't fret this is not a love triangle. Restless Water is a story that redefines the bonds of Chris, Blythe and Sabin. It is a story that completes the whole healing process and that begins with honesty. While Left Drowning will still be my favorite of the two books, I have to admit that Chris stole my heart in Restless Waters. Ms. Park further emphasized what a beautiful man he is inside and out. I loved that he didn't taint or see malice in the friendship of Blythe and Sabin. As much as I loved the ending of Left Drowning, it makes me happy to know that Sabin is in a place in his life where he is content and can heal from his broken past. So thank you Ms. Park for bringing back these characters. So if you are looking for a story where the author paints a literary masterpiece of beauty, closure, love, healing, and second chances then I highly recommend you to read Left Drowning and Restless Waters.